"The Twelfth Step of our personal program also says that we carry the message to the addict who still suffers... The group is the most powerful vehicle we have for carrying the message." 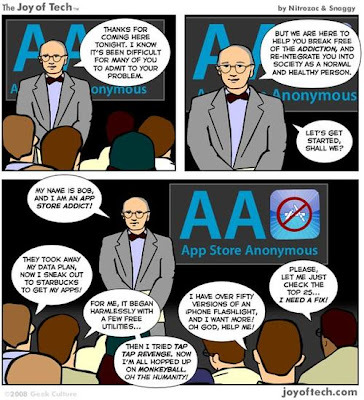 When we first come to Narcotics Anonymous meetings, we meet recovering addicts. We know they are addicts because they talk about the same experiences and feelings we've had. We know they are recovering because of their serenity - they've got something we want. We feel hope when other addicts share their recovery with us in NA meetings. Sharing experience in meetings is one way in which we help one another, and it's often the foundation for our sense of belonging. We identify with other addicts, so we trust their message of hope. 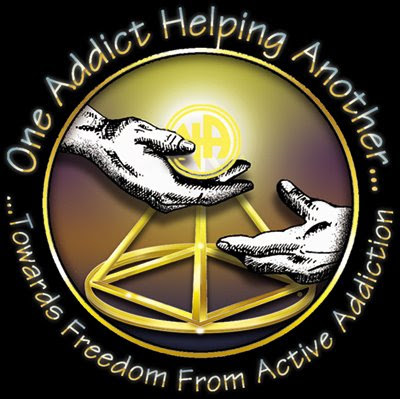 Many of us would not have stayed in Narcotics Anonymous without that sense of belonging and hope. When we share at group meetings, we support our personal recovery while helping others. Just for today: I shall reach out to another addict in my group and share my recovery. Many of my faithful readers have been asking me where are all their links? I'm sorry guys (and to the gals too), all your links will be put up again as soon as possible. I got to tell you, all links that I've accumulated for the past few years had grown to an enormous length thus making uploading this blog tiresome for those few who still on dial-up connection. Really, no pun intended to anyone. I realized that and I've to take out all your links before disheartening other readers to come to this special blog. I've been thinking for a suitable mean on where to put up all the links back and I've decided to make a special post for those linky love you've given me. Please take note, the committee has decided all links listed must be reciprocated or it will be deleted without warning. Any links request will be entertained especially if your blog (niche) is about recovery, hope, experiences and the like. Please leave your request by sending me an email or you can leave your request on any comment column of this blog.We cannot deny other addicts their pain, but we can carry the message of hope that was given to us by fellow addicts in recovery. We share the principles of recovery, as they have worked in our lives. God helps us as we help each other. I also like to take this opportunity to wish blessed Christmas to all my readers who are celebrating Christmas and to your loved ones too. I saved this great news for last. After a long deliberation, I've decided to take this blog to another step forward. My Journey To Recovery has got her own brand new domain name. Her new URL will be http://www.myjourneytorecovery.net/ and she will be hosted by Blogger/Google for now before taking yet again another giant leap. Transferring to a new domain name and hosting is no small matter. Hopefully My Journey To Recovery will start to be of service on January the first, 2009. But not to worry, I got a little bit of help from The Wise Ol' Vic. All his blogs are now hosted with Blogger/Google and he has got great many experiences doing so easily. Greetings and lots of love from Kuale Kangsor, MALAYSIA. p/s Unfortunately, myjourneytorecovery[dot]COM has been taken leaving me with no other choice except to apply for a DOT NET. Hi I have found where you post again, hope you too are having a good christmas, feeling cheerful and good over here in the uk, living in the moment, I hear you too, i still love my weekly meeting, ill be going again tommorow with my friend and fellow alcohol. Wah, encik arahman7 ada dot net la sekarang. Kagum-kagum, keep up the good post ok? Nice reading these stuffs here. My first time here since the move to this address. Download-wise, it looks good... am getting to load it at almost near my maximum speed. Dial up, have people still got that in places, i get u with the NA meetings, I too am going to put more effort into AA meetings, i feel like over the last few years my closeness to the group has drifted. its easy to get complacent but just lately ive been irratable and a bit depressed especially over christmas. hiya! yip, got the new address, sorted, thank you! and the comments works, whoooohooooo. lotsa love from me! wow. I am very impressed because you really are good in doing such a great act or stories. That's awesome.